The annual Big Day of Giving event is almost upon us! This year's event will take place Thursday, May 2nd. This special event is a 24-hour online giving challenge that brings the local community together to help raise money and shine a spotlight on all the great work nonprofits are doing in our region. This year marks CCHAT’s 5th year participating in the Big Day of Giving. This Year's Goal is $50,000 and We Need Your Help! We are confident we can reach our goal, but we need your help to make it happen! 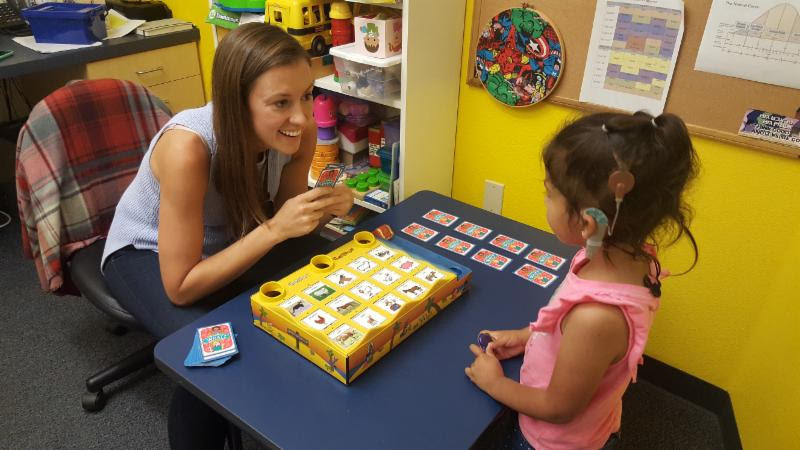 This year, we are highlighting the skills that children who are deaf or hard of hearing acquire while at CCHAT that support success throughout their lifetime: listening, language and literacy. 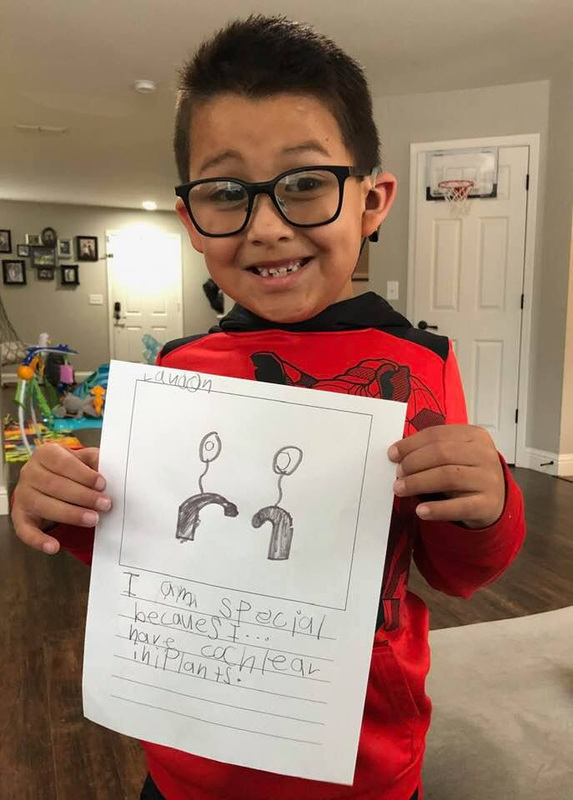 "I am special because I have cochlear implants." Click to schedule your donation for the Big Day of Giving event on May 2nd! Newborn hearing screening allows for hearing loss to be detected and diagnosed soon after birth. Hearing assistive technology like hearing aids and cochlear implants provide access to sound for children who are deaf or hard of hearing. 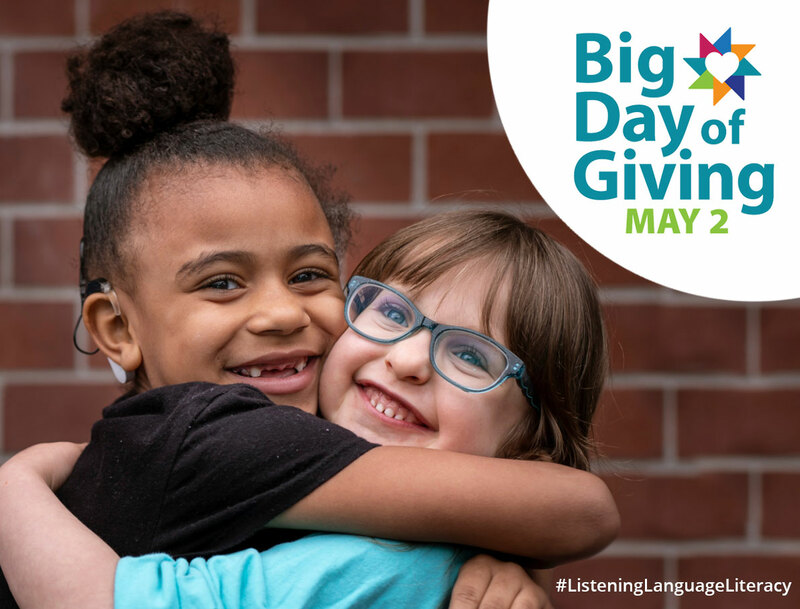 With early detection, amplification and enrollment in a listening and spoken language program like CCHAT, children with hearing loss have access to every social, educational and vocational opportunity life has to offer! Your BDOG contribution will support the center-based services CCHAT provides to children, birth-3rd grade. Meet Landon, age 8. All of CCHAT's specialized listening and spoken language services are provided at no cost to families. The cost of this education is not fully absorbed by school districts that place children at the CCHAT Center. Therefore, we must raise a minimum of $10,000 through community support for each child we serve.